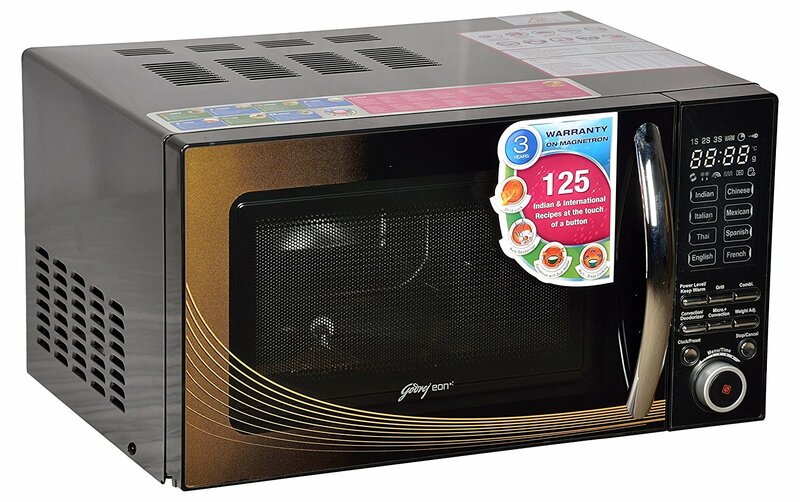 Godrej 20 L Convection Microwave Oven GME 20CM2 FJZ comes with amazing features including 125 auto-cook menus, 11 power levels, concealed quartz grill three years of warranty on the magnetron. 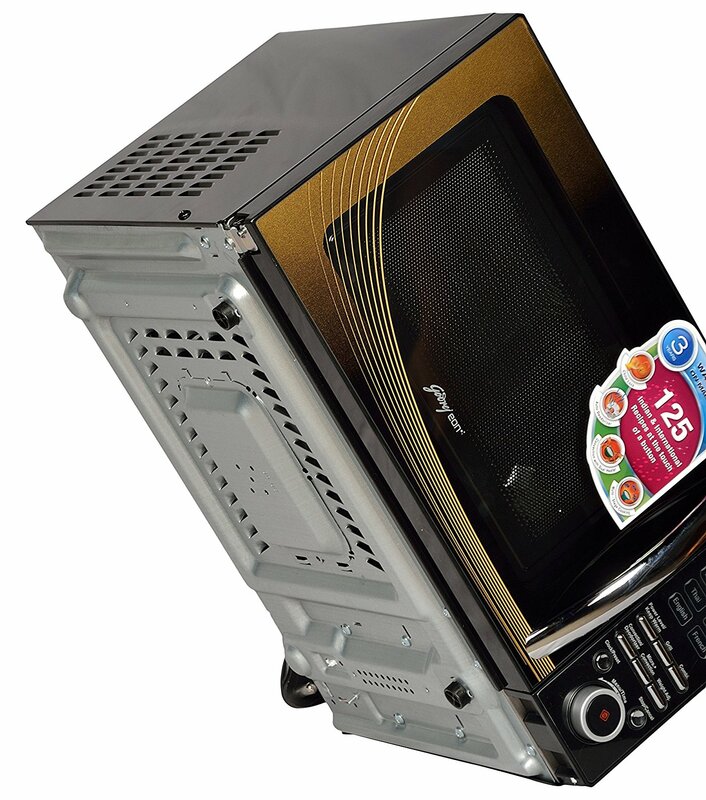 This Godrej 20 liters microwave oven is perfect for those who love baking cakes, muffins and many other similar recipes. 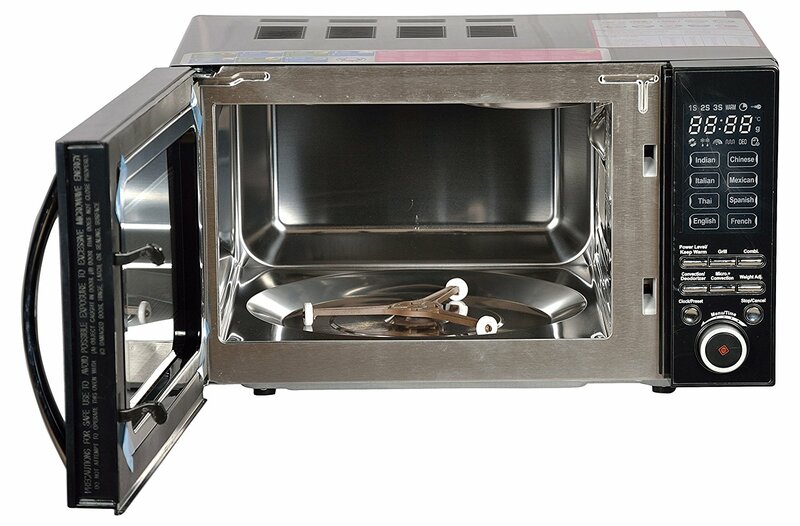 Because it uses a fan and an advanced heating technology that create airflow inside that delivers the best browning result without taking your too much precious time. 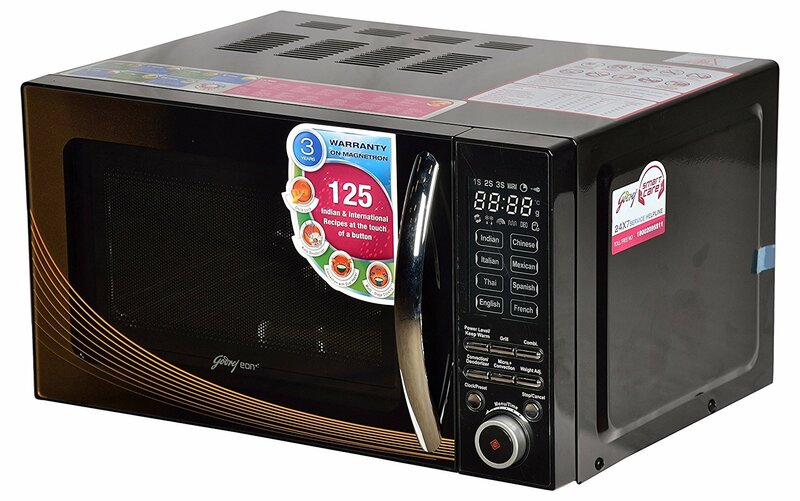 Godrej 20 L Convection Microwave Oven GME 20CM2 FJZ is very helpful to prepare delicious meals without wasting too much time. 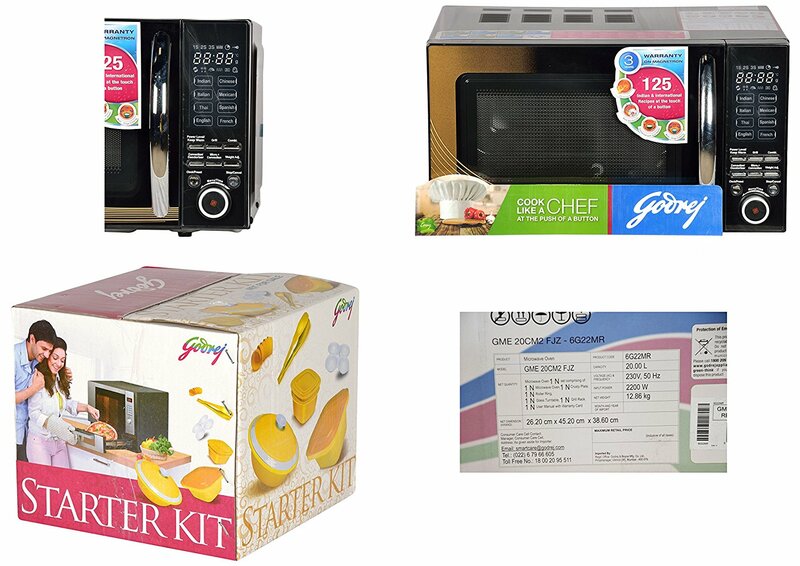 This Godrej microwave oven lets you enjoy 125 cuisines from 8 countries, 35 cuisines from 7 countries and 90 cuisines from India. 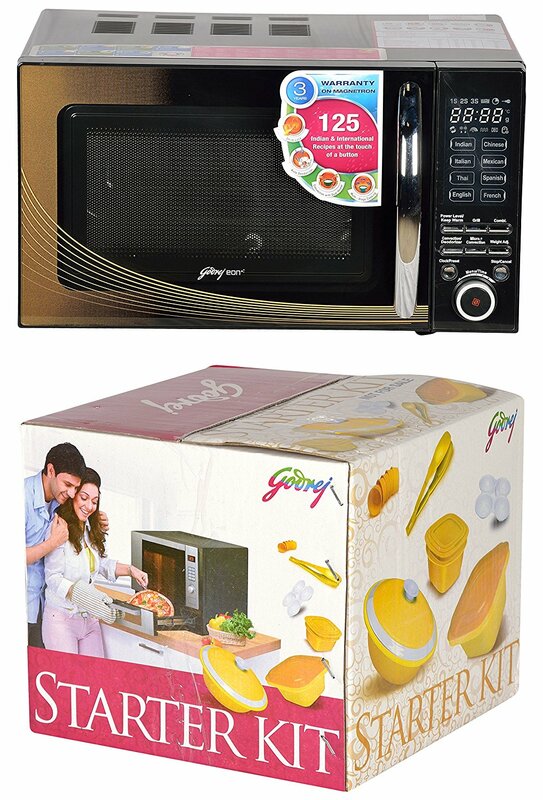 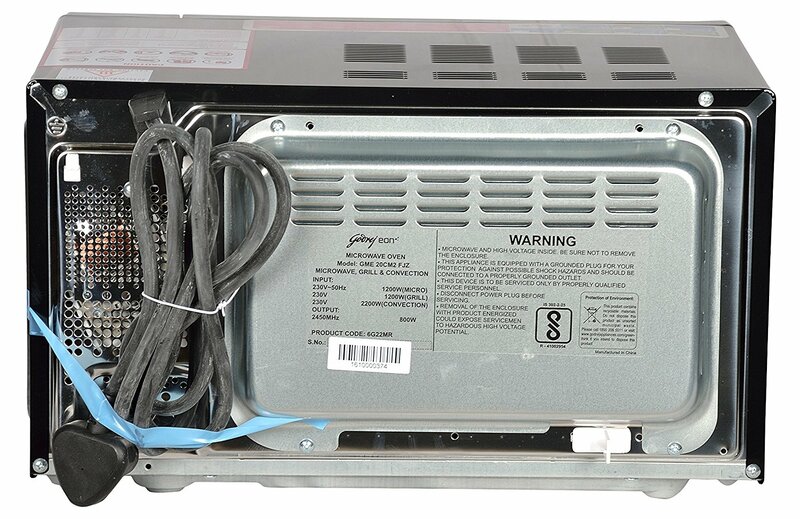 Godrej GME 20CM2 FJZ oven is recommended for a family of two to four members.